A Woman's Worth Igbo Proverbs teaches a woman’s character is much more than just what women display for others to see, excellences of thought and values are the most important assets a woman owns. Igbo people live primarily in southeastern Nigeria who speaks the Igbo language. Except for the northeastern groups, the Igbo live in rainforest country. The Igbo may be grouped into the following main cultural divisions: northern, southern, western, eastern or Cross River, and northeastern. Before European colonization, the Igbo were not united as a single people but lived in autonomous local communities. By the mid-20th century, however, a sense of ethnic identity was strongly developed, and the Igbo-dominated Eastern region of Nigeria tried to unilaterally secede from Nigeria in 1967 as the independent nation of Biafra. By the turn of the 21st century, the Igbo numbered some 20 million. Most Igbo traditionally have been subsistence farmers, their staples being yams, cassava, and taro. The other crops they grow include corn maize, melons, okra, pumpkins, and beans. Among those still engaged in agriculture, men are chiefly responsible for yam cultivation, women for other crops. Land is owned communally by kinship groups and is made available to individuals for farming and building. Some livestock, important as a source of prestige and for use in sacrifices, is kept. The principal exports are palm oil and palm kernels. Trading, local crafts, and wage labour also are important in the Igbo economy, and a high literacy rate has helped many Igbo to become civil servants and business entrepreneurs in the decades after Nigeria gained independence. 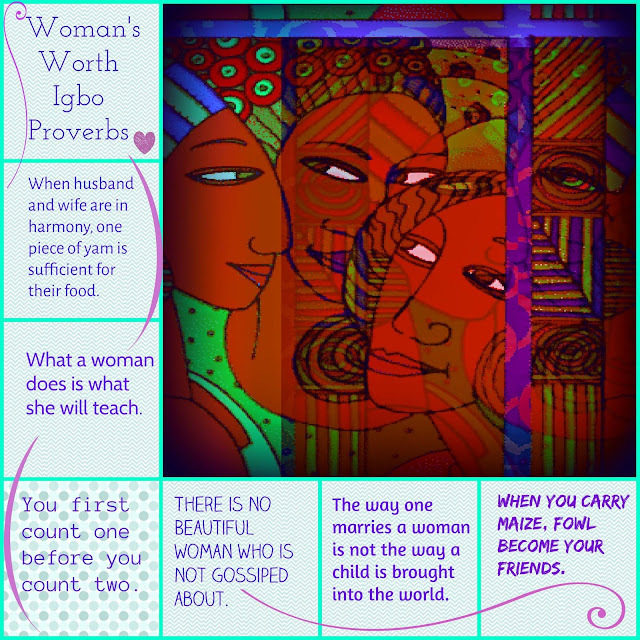 It is notable that Igbo women engage in trade and are influential in local politics. Traditional Igbo religion includes belief in a creator god (Chukwu or Chineke), an earth goddess (Ala), and numerous other deities and spirits as well as a belief in ancestors who protect their living descendants. Revelation of the will of the deities is sought by divination and oracles. Many Igbo are now Christians; some practice Christianity intermixed with indigenous beliefs.